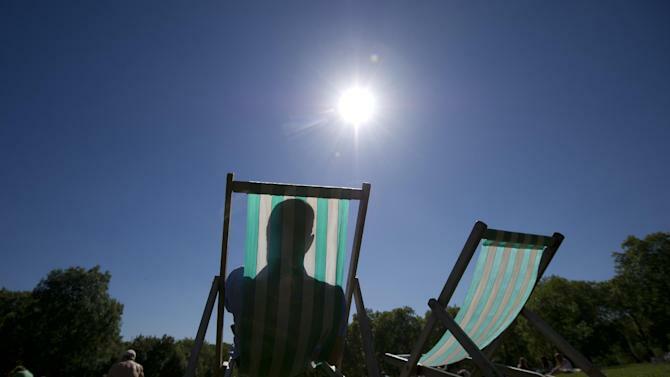 Washington (AFP) - Last month was the hottest September for globally averaged temperature over land and ocean surfaces since record-keeping began in 1880, the US government said on Monday. "It also marked the 38th consecutive September with a global temperature above the 20th century average," said the National Oceanic and Atmospheric Administration. When combining average temperature over land and ocean surfaces, NOAA found a record high for September at 60.3 Fahrenheit (15.72 Celsius), or 1.3 F (0.72 C) above the 20th century average. "With the exception of February, every month to date in 2014 has been among its four warmest on record, with May, June, August and September all record warm," said the NOAA report. It said most of the land on Earth was warmer than normal last month, except for central Russia, some areas in eastern and northern Canada, and a small region in Namibia. "Record warmth was notable in much of northwestern Africa, coastal regions of southeastern South America, southwestern Australia, parts of the Middle East, and regions of southeastern Asia." When it came to the world's oceans, the September global sea surface temperature was 1.19 F (0.66 C) above the 20th century average, the highest on record for September. "This also marked the highest departure from average for any month since records began in 1880, breaking the previous record of 1.17 F (0.65 C) set just one month earlier in August," said NOAA. It said record warmth was observed in parts of every major ocean basin, particularly in the northeastern and equatorial Pacific Ocean.